Our range of products include compostable carry bags and biodegradable garbage bags. 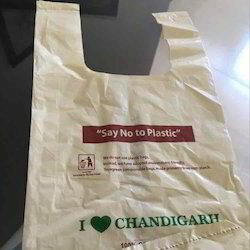 In order to keep pace with the ever growing demand of our clients, we are engaged in offering supreme quality range of Compostable Carry Bags. This is made with fine quality of material and enriched with sharp edge technology. 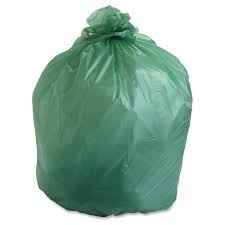 Holding expertise in this field, we are offering to our valuable clients a premium range of Biodegradable Garbage Bag. We manufacture this bag by utilizing the high grade raw material under the supervision of our skilled professionals. In order to maintain the hygiene level and dispose off waste material our offered bag find extensive application in homes, institutes, hospitals and many more places. Our experts check this bag on various parameters to ensure its flawlessness.